This all Spanish clash side sees both teams with a 3-2 record in the Top 16 but Real Madrid have an 8-7 record for the season while the away team currently hold a 9-6 record. This means that the two teams look evenly matched for the Friday night clash, which could create an interesting and intriguing spectacle for fans. Even though the two teams are regular opponents in domestic duty, this is the first time that they have met in the Euroleague. 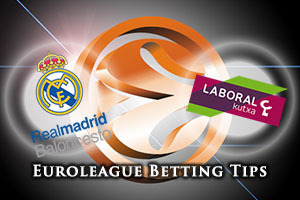 This is unlikely to have much impact on the outcome of the game but it may be that Madrid will be under more pressure to replicate their Euroleague success of last season, which could allow Laboral with some leeway for silencing the Madrid crowd. Gustavo Ayon and Felipe Reyes will be instrumental in ensuring that Laboral don’t get too excited and if they can play strongly, they will create the platform for players like K.C. Rivers and Jaycee Carroll to turn the game in the favour of the home team. Will a former hero haunt Madrid on Friday night? One of Madrid’s Euroleague heroes from last season was Ioannis Bourousis and he will be back on familiar territory on Friday night. Of course, he will be looking to cause havoc for his former team-mates and his record this season indicates that he could cause a lot of pain for the reigning Euroleague champions. Bourousis can boast of ranking second with respect to the index rating, clocking up an average of 22 points per game, and he also has the best rebound statistics in the tournament at 9 rebounds per game. If Bourousis hits top form, the away side has a good chance of creating space between themselves and their more illustrious opponents. 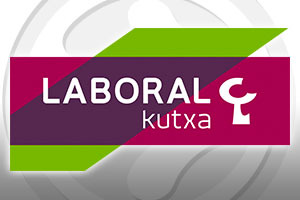 The hosts are favourites but look for Laboral Kutxa Vitoria Gasteiz at +7, which you can find at odds of 1.90. There could be plenty of points on offer in this game between two familiar rivals and for the Over/Under market, you should look to go OVER 167.5, which is available at odds of 1.90. Bet Now!